Our spirits sorrowing for the helpless and hopeless. We might ask, “In these circumstances, what have we to be thankful for?” That was the circumstances in the world of Gideon approximately three thousand years ago. The young man, Gideon, who became the sixth judge of Israel, had been able to save some of his father’s wheat from the fields. He hid it behind the winepress in order to thresh it. An angel appeared to Gideon and hailed him as a mighty man of valor. After Gideon had a conversation with the angel, he prepared food according to instructions, and the angel caused fire to consume the food. Then the angel departed from sight but not from sound. Gideon is stricken with terror as he recognized that the angel was the Lord. He calls out to the Lord God, who says, ”Peace be unto thee; fear not, thou shalt not die.” Gideon built an altar and called it Jehovah-shalom, shalom is most often translated “peace.” Thus we meet the God of Peace/Comfort. This entry was posted in Jehovah names and tagged Bible, blessed, Christianity, comfort, faith, Gideon, hurting, Jehovah Shalom, Jesus, panic, peace, prayer, security, trouble, turmoil. Bookmark the permalink. This is beautiful! I’ll read the post at the link you’ve provided. Thanks, Debbie L, I hope it will be an encouragement to you. I’d like your response in any way you see fit. Maybe a blog on the same subject? I know you’re working on repairing the link you have listed…I will keep checking back in hopes you are able to repair so that we may enjoy more of your wisdom. Hugs & I’ll pray a cyber-angel be sent your way to assist you!! I intend to post another excerpt tomorrow or Tues in which I will try again to get the link working. Thanks for the encouragement. Oh, so timely and timeless. I just connected with your full essay-beautiful! And retweeted! Great quote: ” He was at peace with God, but he was not yet at peace with the circumstances around him.” And I love the part also about thanksgiving opening the portal of peace. Beautiful! Thank you, dawnliz. I’m amazed when I see people who go through tragic events and come out with what seems like even more faith and peace with God. Only He can make that happen. I can see why sceptics scoff. I also see why Christians smile. And I guess both do a little of both sometimes, but God’s plan is for us to rest in Him. There’s the rainbow, again. 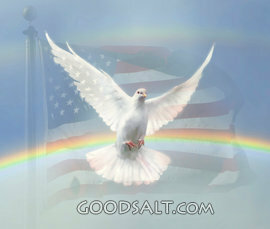 It, and the dove, are such comforting symbols of peace and wholeness.Your post’s a lovely way to begin Thanksgving week. Yes, it is a companion to your “Rainbow” a few days ago. And this post (God of Comfort/Peace) has its companion piece with your “Where Gratitude Abides.” We have been dwelling on similar thoughts these past few days – probably both inspired by the thought of Thanksgiving coming up. Thanks for your response. Thank you so much for your encouraging words. I’ll try another excerpt tomorrow with this link again. Maybe it will be right. Pam, when I enter this URL in my post, do I maybe I forget to underline. Do you think that might be my problem? I read someplace where it said “hover my cursor over” URL and it would link? That doesn’t seem to work. I might have misread. Thanks for your help to me and others, esp. through the alumni. Bill, maybe this will do it. I haven’t mastered “links” very well. I plan to do another excerpt to put on tomorrow and give another try at a proper link. Try: https://onetahayes.com/gods-provision/jehovah-shalom-my-comfortpeace/ Yes, I believe this will do it.